Carpeting stores sell carpet by the square foot, so the total cost of new carpet for your home is proportional to the area of your floor space. If you know the cost of carpet per square foot and how much area you need to cover, then you can figure the total cost of carpet. This will help you compare the prices of flooring options and set a home remodeling budget. Draw a diagram of your home's floor space and include all of the rooms and halls that you plan to carpet. Divide the floor space into smaller rectangles. For example, a single room or a hallway may occupy a rectangular area. An L-shaped room can be divided into two rectangles, one for the base of the L and one for the stem. Measure the width and length of each rectangle with the measuring tape. Round the measurements up to the nearest whole foot. Compute the area of each rectangle by multiplying the width and length. Add the areas of all of the rectangles to find the total square footage. 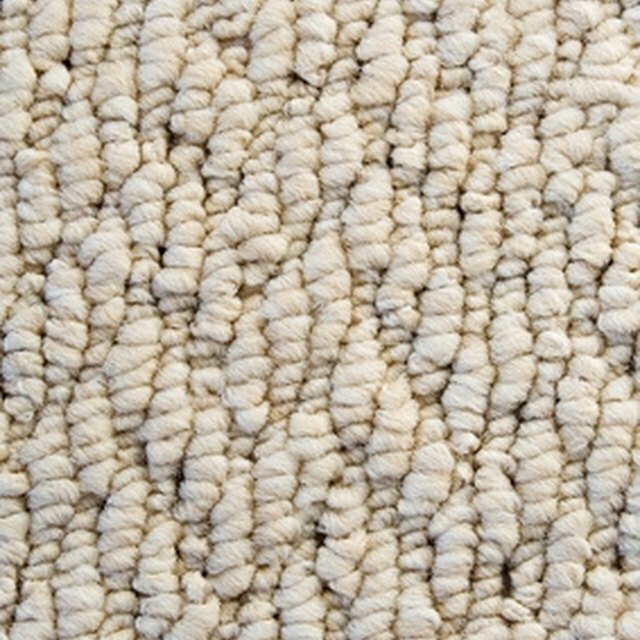 Multiply the cost of carpet per square foot by the total square footage. For example, suppose the cost of carpeting is $1.25 per square foot and the total square footage (just the floor space you plan to carpet) is 340. Then the total cost of carpet is ($1.25)(340) = $425. If a carpet dealer sells carpet by the square yard, convert the square footage of your floor space to square yards by dividing by 9. For example, 340 square feet is approximately 38 square yards. Nucreisha Langdon has written professionally since 1991. She has ghostwritten more than 20 romantic fantasy novels, while her nonfiction work has appeared in the "Gainesville Sun" and the "Austin Chronicle." Langdon holds a Bachelor of Science in mathematics and a Bachelor of Arts in English from the University of Florida.